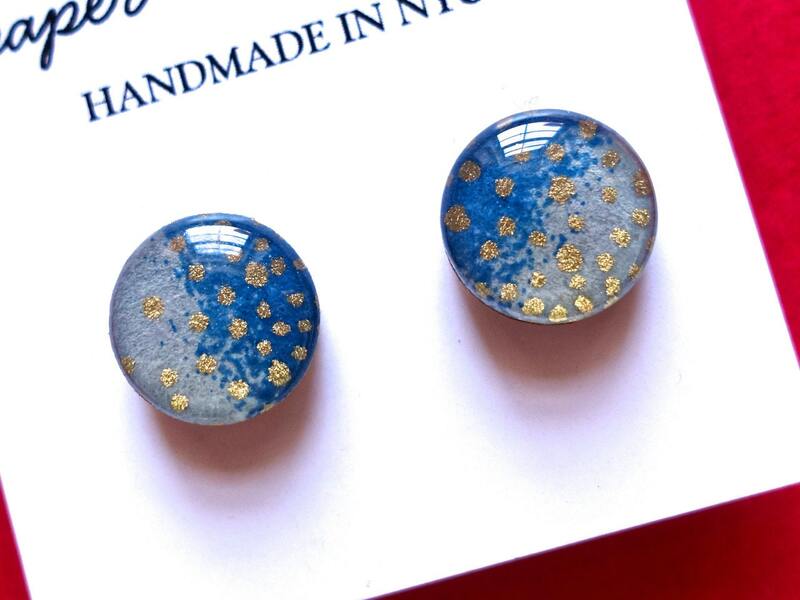 Small circle stud earrings, blue/grey ombre with gold starry design. 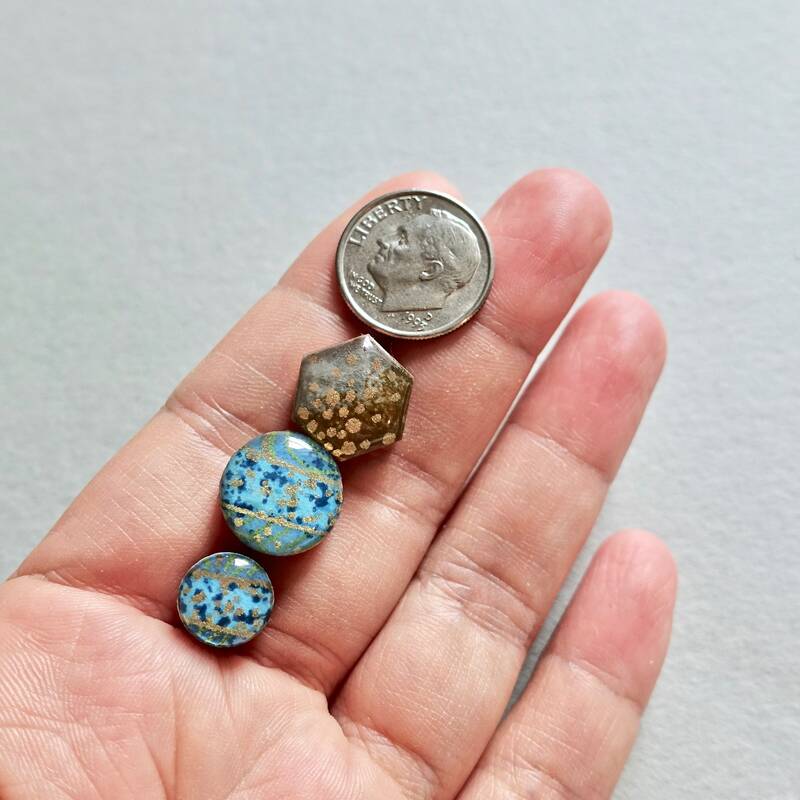 Choose between SMALL 0.375 inch (0.95 cm) or MEDIUM 0.5 inches (1.3 cm). If you are buying these as a gift and are unsure of size, we recommend going with the smaller, more popular size. Made from paper and wood, and coated with resin. Super comfortable and lightweight. Earrings are water-resistant. 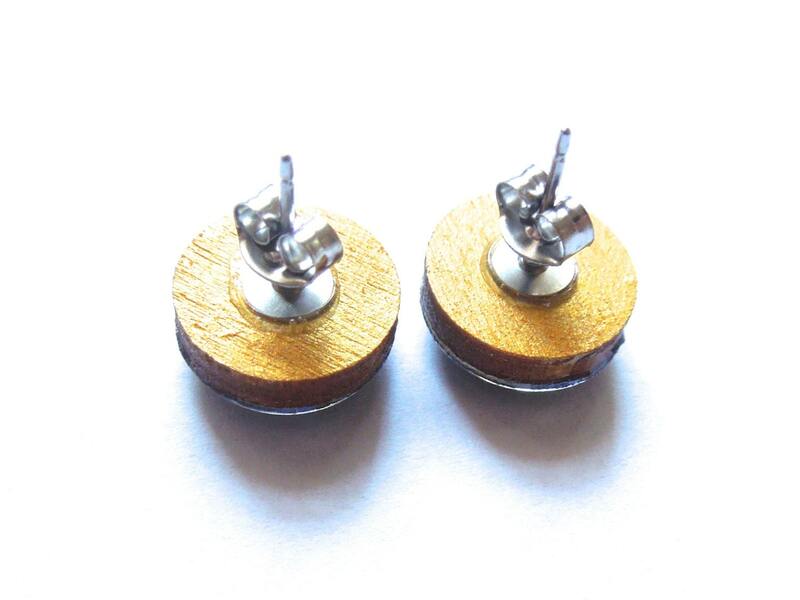 These earrings are made with nickel free titanium backings, which meet EU standards. Surgical steel and other metals often contain traces of nickel - ouch! - while nickel-free titanium is the metal that is often used for bone and joint replacements.